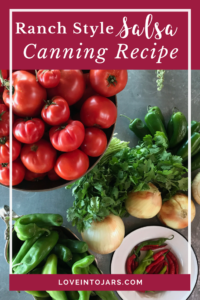 This canning recipe is easy for beginners, fast to cook, and fun because you can roast the veggies on the grill, or under the broiler. Read on for the recipe! 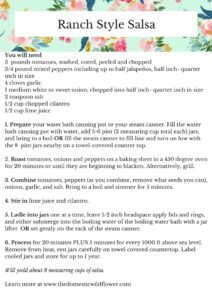 This salsa recipe requires you to roast the onions (peeled first, and cut in half), tomatoes (whole), and peppers (also whole) on a grill or under a broiler. The season will dictate which method you choose, I’m sure, but the grill was pretty easy. Try it, if you can! The ratio of hot peppers to mild is about 1/3 hot to 2/3 not for a medium hot salsa. That was just too hot for my kids and hot enough to please my grown up, but not in love with super hot spice preference. You can cut back to just one jalapeño if you prefer a mild salsa, or even none. Use mild banana or bell peppers for the remaining portion. The prep takes the longest – cooking takes almost no time at all. 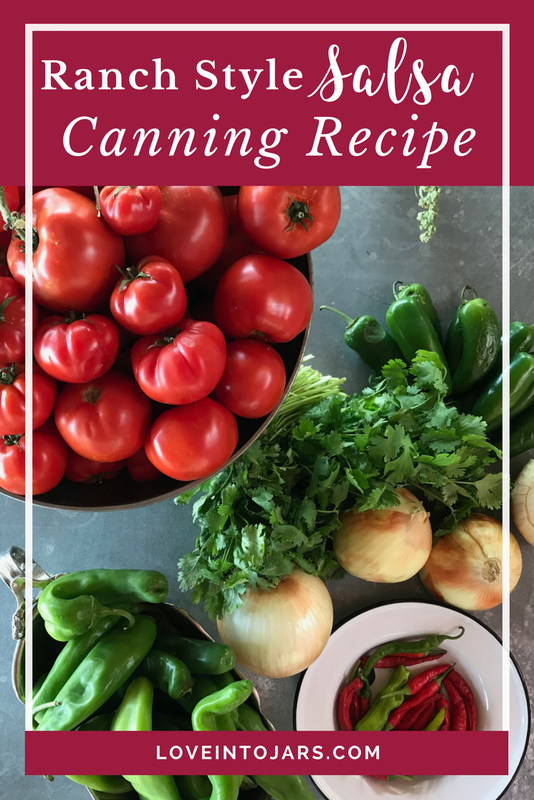 Just bringing the salsa up to a boil takes about 5 minutes so you could-if you desired- to roast the veggies one afternoon, refrigerate them, and then can them the next day. That is of course if you were short on time. 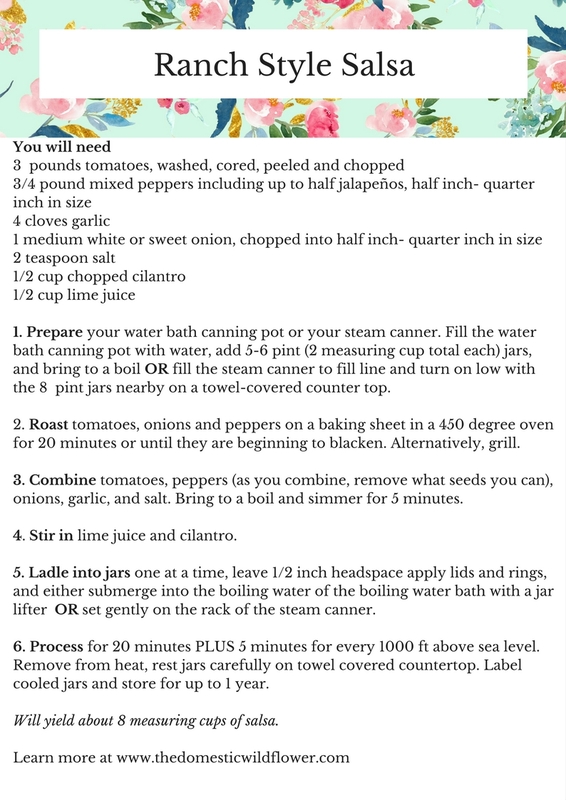 Here’s the recipe, and you can download it for free here if you like! 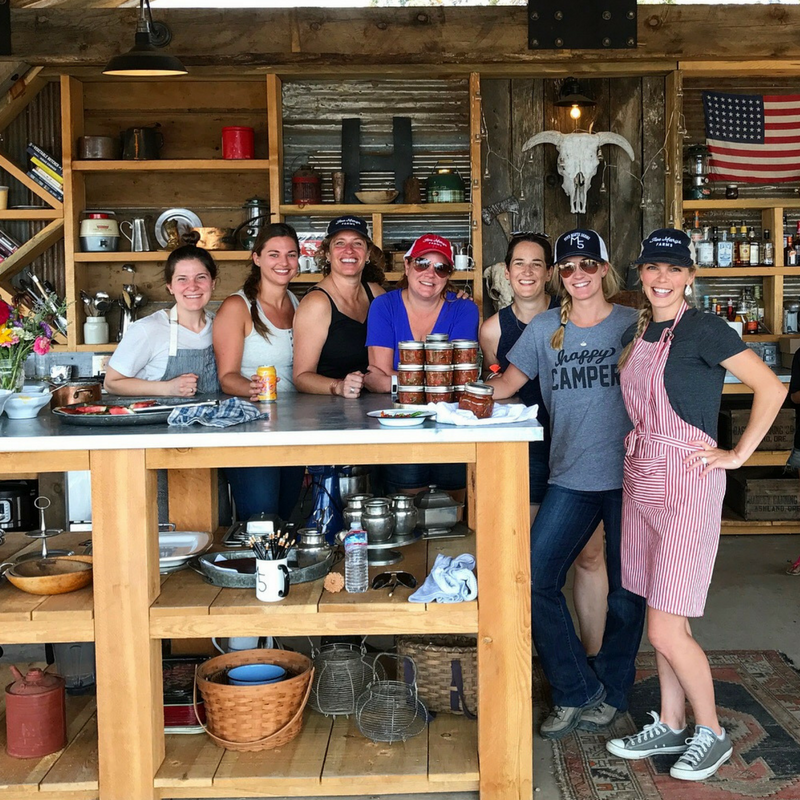 I had the best time demonstrating how to make this salsa recipe in person at my friend Mary’s camping retreat held at her ranch, Five Mary’s Farms. 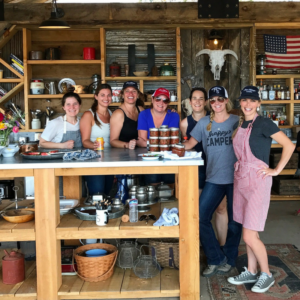 I taught 25 women how to make this recipe, the differences between steam and water bath canning, the importance of acid in canning, and more! My new book, Love Into Jars will be out soon! Sign up to know when it is available for preorder!